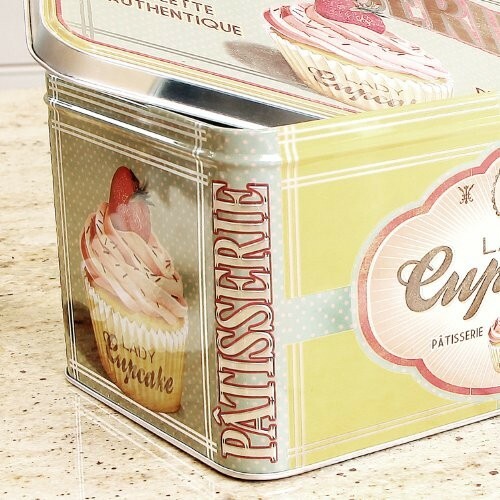 Beautiful vintage French style storage tin that’s perfect for storing cupcakes, homemade buns, cakes, pastries and other sweet nibbles. This elegant tin will make a great piece for the kitchen and comes in a hard to find size and shape. It is made of superb quality and features an exclusive french design perfect for both a vintage retro and country style kitchen. Style: Vintage French style storage tin with lid. View more kitchen storage tins.